It's been far too long since the last true update to this blog and for that I owe apologies before we get started. NaNoWriMo and a few personal issues in its aftermath derailed much, but we are hopefully now back on track for several weeks (and hopefully months) to come! So without any more ado, let's get to the final ongoing issue of the second wave of the Fourth World as Steve Gerber, Mike Golden and Russ Heath give us the final issue of Mister Miracle. a Michael Golden comic. And people wonder why DC imploded? 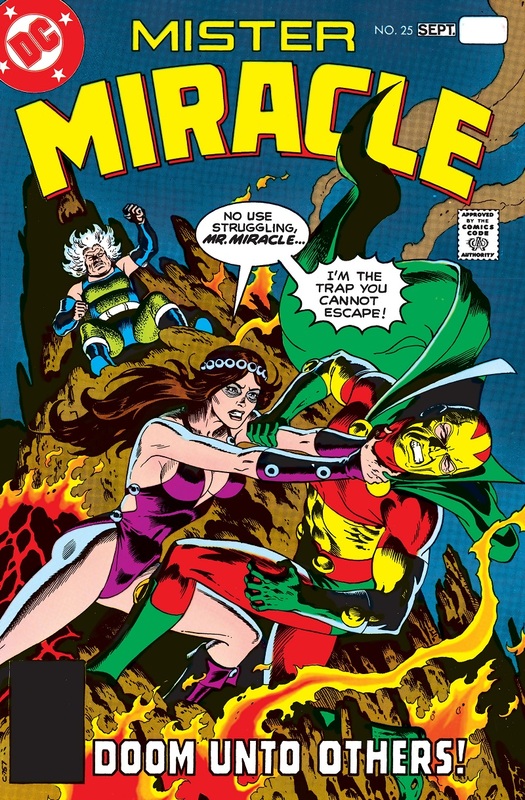 The story opens with Scott hovering before the people in the aftermath of his death defying escape at the end of last issue. He declares that just as he escaped the deathtrap, they can escape the forces which seek to suffocate their lives. One of my all time favorite Christmas comic tales comes from the second DC Universe Holiday Bash from way back in 1997. 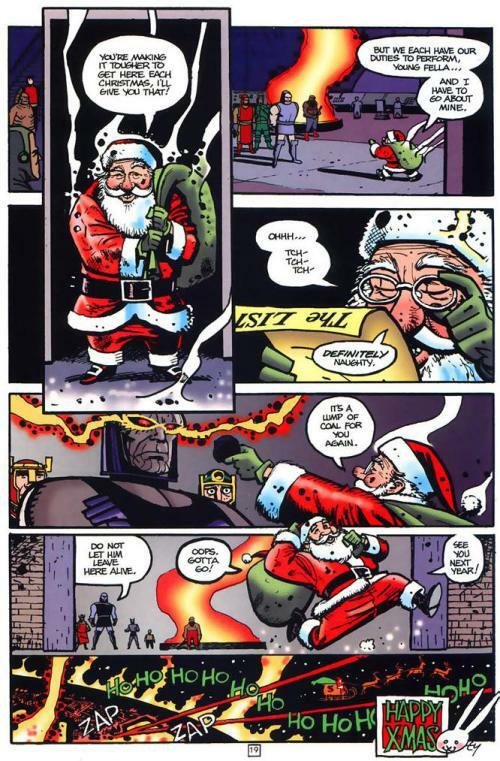 It is a very simple two page affair, but it is honestly just an amusing juxtaposition of Santa in the DC Universe. Thankfully, it has been heavily re-posted online, even by artist/writer Ty Templeton himself. So as Santa readies for his long ride in a few weeks, let's all find the answer to the question: what is Christmas like on Apokolips? 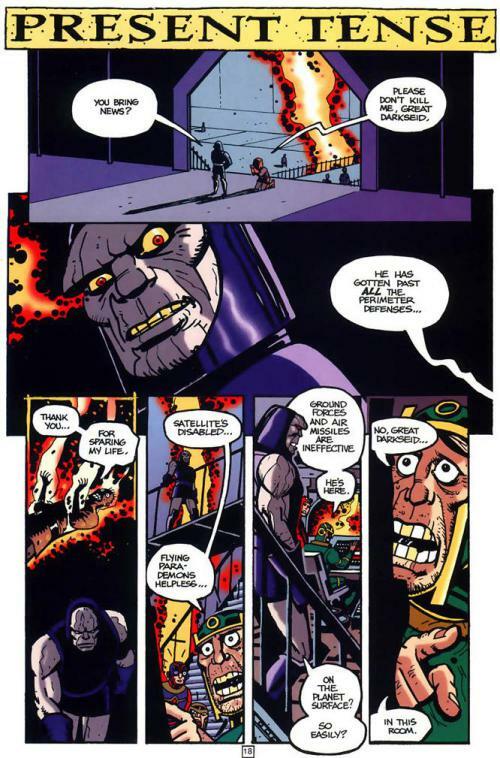 Don't you miss the days when Darkseid could be used for comedic purposes and no one was bothered by it? I know I do. 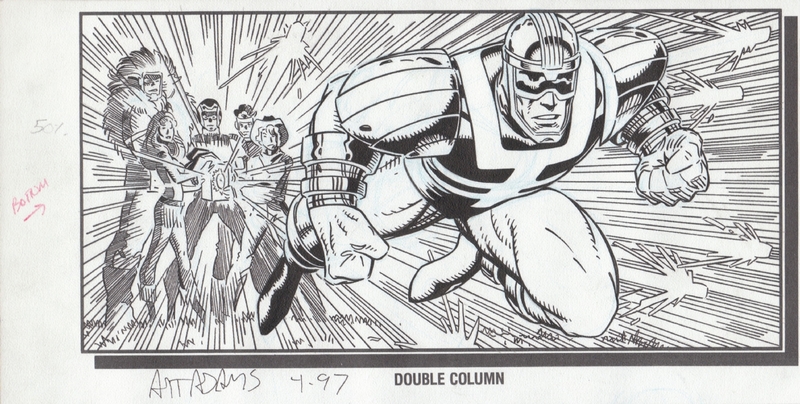 Art of War 05: Infinity Man and the Forever People by Arthur Adams! Arthur Adams is a legendary talent, so it's no surprise his take on the weirdest cats in the Fourth World and their body changing buddy is all kinds of impressive for this edition of the Dreaded Deadline Doom! Just a station note: next week we will have a special holiday edition before the regular columns return after that! Stay tuned!